It’s spring and micro-mobility is in bloom. This week’s newsletter includes stories about the need for public-private partnerships in the micro-mobility space, two great cities that are leading the way in transit innovation (Washington, D.C. and Freiburg, Germany), why Zagster doesn’t believe pedal bikes are going “bye-bye” (far from it, actually), and much more. Let’s roll . 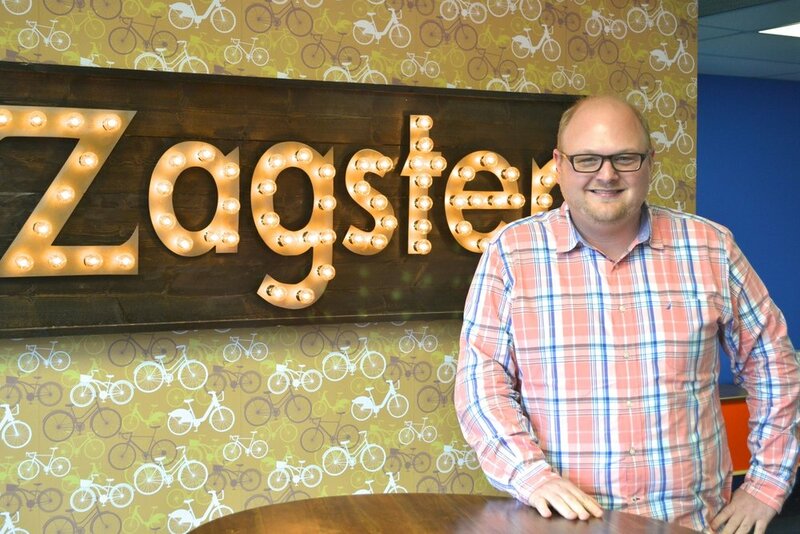 . .
Zagster’s VP of Product Development, Bob Mallon published a must-read ZBlog post this week describing how we integrate vehicle agnosticism into our platform: “With Wrangler, we focused on common operational features of any micro-mobility solution (such as finding, fixing, charging, and moving) . . . We didn’t embed processes that only work for a specific vehicle type or for the unique attributes of an individual community, but instead created a menu of tasks that could be adapted for potential use in future mobility solutions and by a variety of partners.” We can therefore customize the “right” fleet/vehicle mix for every single community we serve. An article from The Verge describes the woeful realities of scooter economics. Due to careless handling and use, scooters in many communities typically last less than a month. In response, “companies are beginning to roll out more durable, longer-lasting versions of their scooters,” says The Verge, but these scooters are also “more expensive to manufacture,” meaning higher prices get passed on to users. The article includes a sentence we’ve heard before: “the unit economics of the scooter-sharing business is overall pretty terrible.” We have an answer for extending the lifetime value and boosting the ROI/profitability of scooters -- Zagster’s operational playbook, which includes having our experienced employees taking good care of all micro-mobility assets. Collaboration is a core value of Zagster. A recent article in Government Technology Magazine makes the case that local governments and private micro-mobility companies not only can, but must work together. While there’s currently a learning curve happening (these are complex public-private partnerships, after all), standard processes and best practices are gradually emerging. The article mentions some of the “growing pains between private-sector and local transit agencies,” but also cites recent history as “prov[ing] the two can quickly work well together.” Zagster firmly believes in a collaborative, community-based approach to micro-mobility where everybody has a seat (and a voice) at the table. A recent article in US News explores how the city of Washington, D.C. has been a pioneer in micro-mobility. For example, the city requires micro-mobility companies to share open data about vehicle locations. “This data has been built on by app developers [and others] to help people find vehicles quickly, creating additional demand for micro-mobility,” notes the article. The author also suggests ways forward for other cities: “To facilitate positive experiences with these bikes and scooters, cities must create safe places on the sidewalk to park them, change curb designs to accommodate their pickup and dropoff points and repaint streets to create safer ‘slow lanes’ for their use.” We congratulate Washington, D.C. for leading the way! A recent Forbes article highlights an area of Freiburg, Germany, called Vauban, where it’s almost impossible to own a car because there’s no parking spots and the speed limit is 3 mph. “After 20 years of success, [Vauban] could be a model for how we design future walkable neighborhoods,” says the author. As an urban development expert quoted by Forbes explains, the liveability and real estate values of Vauban have increased dramatically: “You have public transport, easy walking distances, and cycle routes, and you don’t need a car anymore. So it’s really just enabling this shift” toward more sustainable living. It might be a bit radical to eliminate all parking spots, but we admire, and can learn from, Freiburg’s example. Last but not least, SmartCities recently published an article called Bye-bye Bikes? Many Mobility Companies Shift Their Focus to Scooters. At Zagster, we’re vehicle agnostic and would never say “bye-bye” to bikes. Our role is to help our communities find the “right” mix of vehicles to meet their particular needs. Defaulting to scooters would be foolish, for example, if a community wanted to focus their program on recreation/exercise options as a lifestyle amenity. In that scenario, we’d recommend pedal bikes (not scooters) and place them near trailheads and scenic routes. Vehicles may change, the specific needs of communities may change, but we’ll always offer the “right” mix of vehicles to communities. We love bikes, scooters, hover boards or whatever the future of micro-mobility may bring.